I've been reading some emails about the new process to get a NBI Clearance. It seems that the government decided to implement the Biometric Clearance System (BCS) which means whether you will be renewing your clearance or applying for a new one, everybody will go through the process of a first-time applicant! What's more, the NBI kiosks that is accessible to everyone was changed. Tsk! I used to renew my NBI clearance in Park Square since it's convenient and I get to experience to renew my clearance in 5 minutes. There's one person who shared her experience in renewing (obtaining) her NBI Clearance in Facebook so I read it. Robinsons malls are easily flocked by NBI applicants versus going to Robinsons Otis (this place sounds new to my ears). 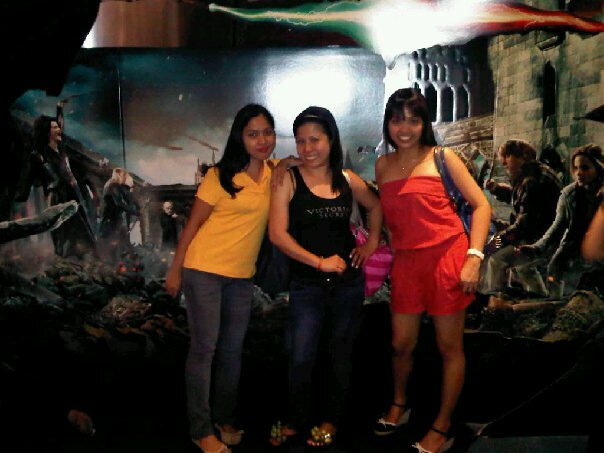 There are some people who fall in line as early as 5am. Obviously it's impossible for me to do that since I live in Cavite province. 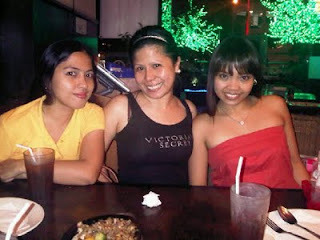 I need to schedule my NBI renewal this week. I am hoping to hear some good news with regards to the applications and interviews that I had from the past 3 weeks. It's time for me to go back in grinding some technical professionals. 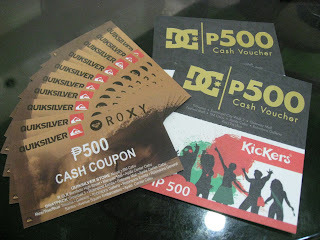 I received an email from Candish Tales informing me that I won a Roxy/ Quicksilver Cash Coupon (worth 500). Weee! 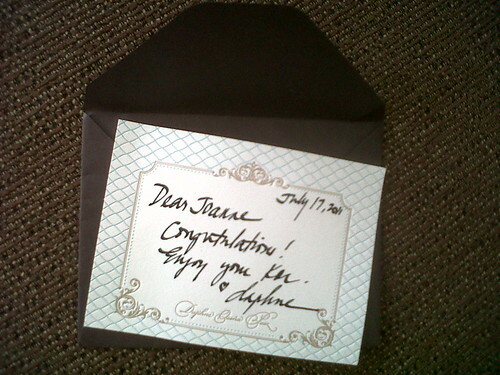 I almost forgot (again) that I joined this online contest...hehehehe. I kept losing track of the contests that I joined on the internet. I'm being so carefree these past weeks that I don't care much about anything except the things I need to do inside our home. This cash coupon together with the Kor Aura bottle will be an early birthday presents for me so thank you to the big guy watching over me. He never fails to provide....no matter what and I'm grateful. I almost forgot about the online contest that I joined a couple of days back. 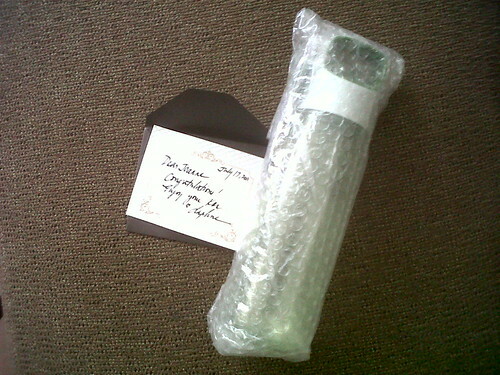 It was from Ms. Daphne's blog and she is giving away the latest Kor Aura bottles. 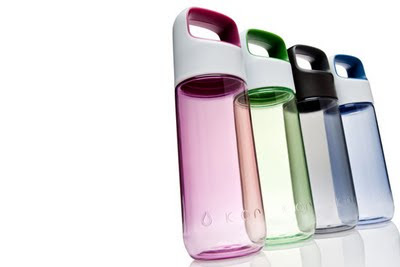 The new KOR Aura® Hydration Vessel is a simple and sleek reusable bottle that puts the spotlight on water. Aura features a tapered, obelisk profile and delivers incredible ergonomics with KOR’s patent-pending Perfect Spout™ and hallmark spoiler handle. Made from BPA-free Eastman Tritan™, the Aura marks the fourth salvo in KOR’s design-centric hydration line. I always make it a point to check my personal emails and the Groupon sites in which I am a member. I saw a healthy treat in Buyanihan and since it's for free I decided to get 2 which I can use for the month of July and August. BUYanihan | 10 GCs, yours absolutely FREE! 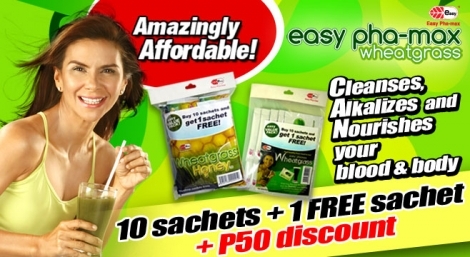 P50 off on Easy Pha-max Wheatgrass 10+1 Value Pack. It's our 4th anniversary treat to our customers. It's a discount and a freebie when you use this deal to buy Wheatgrass Value Pack from Easy Phamax. I have not used the vouchers yet and I was planning to start this month. I'm dedicated in working ouy at least 4-5 times a week as I am preparing myself for our Coron Palawan trip in September. Anyways I would really want to be serious in having a healthy lifestyle thus I'm starting to change my life little by little. First with exercise then second, being aware of what food I eat. I'm going to try the Wheatgrass with honey as I want some sweetness in my drink versus the classic flavor (which I don't like the taste). Ever since I switch from Globe prepaid to postpaid, I kept getting SMS from different agents about loans from different banks. I don't know why they have my number. I'm not sure if I need to call Globe if they can filter those people sending the SMS. At present, I'm not interested in applying for pre qualified loans as I've made a decision to pay the debts/ credits that I have and start investing the money that I saved. I read somewhere that in order for a person to succeed to financial freedom, he or she must free himself / herself from debts and that's exactly what I'm going to do. If you think about it hard, it's the logical thing to do. I have attended a seminar about the basics in stocks and I'm planning to attend another seminar on Monday to know more about the product that they introduced on the stocks seminar. 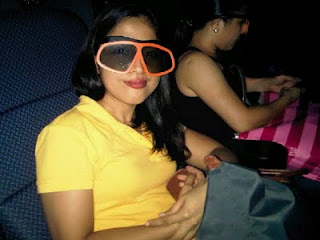 Apart from stocks, I'm also considering mutual funds and I'm eyeing a company who's been stable through the years. In tough times like recession and price hikes, you will never know what will happen in the future and these days earning money is not as easy as before. I have no plans of being an employee forever so it would be better to invest early and of course I need to be equip with knowledge about these investments. It was shared in a yahoo group where I'm a member to subscribe to a newsletter of a financial adviser who happens to be a seminarian before. I have one of his books but I'm not done reading all about it. I also remembered having one of his e-book that was shared by one of his members. I think these tools will help me a lot on handling my finances better. Isn't he beautiful? Accidentally I was able to watch one episode of Marry Me Mary which is being shown in a local channel here in Manila. And what made me hooked in watching it again? HIM! Since I was not able to watch this TV series from the beginning, I am watching it on YouTube instead. Good thing that the episodes are there though it will be nice if I can get a copy of my own. Hmmm... I will need to ask some of my friends about it. Currently he is touring Asia. He went to Japan and Taiwan recently so this makes me think on when he will come over to the Philippines. 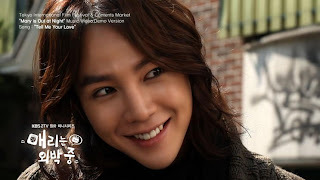 Blogging about this guy makes me feel like a teenager again....hahahaha!